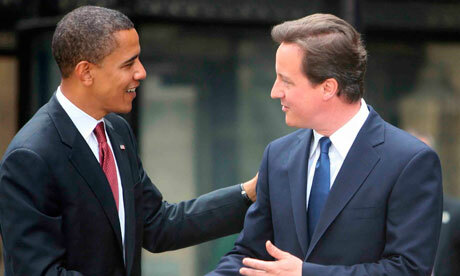 One has the majority of a continent behind him, the other is wearing a blue tie. I was reading an article in the Guardian earlier this week regarding the death of JFK and how important it was to not only Americans, but the entire world (you can read the article here). It would seem that everyone and his dog remembers where they were and what they were doing at the time of his death (provided they were alive themselves, of course). What particularly interested me in this article was Allen's description of America after his death: 'All were terrified. ', 'the nation [was] a collective deer caught in the headlights.' and even 'a death of hope and the certainty of a brighter future'. To me this seems completely alien. Actually having genuine, caring feelings for whoever happens to be in power? Feeling so strongly about his death that the entire nation is affected as if a close friend had died? In Britain the PM would be lucky to be missed by his own family, let alone the entire nation. Despite their constant complaining about governmental interference, Americans are still depicted as a nation behind the President, due to the symbolic nature a President has. Whether a Presidential supporter or hater, Americans are stereotypically tremendously patriotic to what appears to be an almost ignorant degree, and will therefore stand behind the flag to defend their country from criticism regardless of their political standpoint (this is just a general stereotype, obviously). Because of this, the President takes on a role as figurehead of the nation, and is expected to impose American values on the world. By killing the President, you kill the possessor of America's ideals, the enforcer of the constitution, and the bearer of US supremacy/power. By killing the Prime Minister of England, you kill another bloke who happened to get more votes than the other bloke. In England we barely know ourselves, we don't have time to create particularly empowering stereotypes or hang our flag from everything we own. Our patriotism is one that is ever present, but hidden due to our own personal complexity. Therefore to the world we're a nation of tea and biscuits, fish and chips, and posh men in top hats discussing the weather on penny farthings. If that's all Cameron really has to embody, then it's no wonder we wouldn't shed a tear if he were to die unexpectedly. In our own nonchalant manner we would simply expect the next 'bloke' to do a better job of representing our stereotype, and suggest it might be beneficial for him that he try not to get himself killed while doing so. However, I would argue that the stereotype I suggested is both embodied and furthered by a far greater symbol than the PM, thus leading to our lack of interest in his (or her) well-being. The Queen is everything I stated previously, and some. She has the upper class, posh, tea-and-biscuits look, but also depicts a strong Britain - one with an Empire that once struck both fear and joy into the hearts of countless people of different nationalities. Her symbolic importance is so huge, I would argue that it is beyond that of the President. If the Queen was assassinated tomorrow, the whole world would shake. It pretty much did after Princess Diana died. And even if he tried, he would never be able to pull it off with the charisma and charm that Obama seems to excrete. Just look at the smile Barack pulls after he sings - enough to drag a nation into another 4 years. So because of the PM's lacking abilities in the field of charisma, we are unable to form the relationship that Americans are able to form with Obama. I wouldn't be surprised if most Britons were more interested in Obama than Cameron on a solely personal level - I know I am. Finally, but still incredibly important, is our innate need to mock ourselves, our friends and our government at every waking moment. It appears almost customary in Britain to refer to a friend by using an expletive in a social context. In fact if you don't at least call them an idiot every so often they may take deep offence and inquire as to why you're acting so funny/why you have a problem with them. If we didn't constantly tease each other, we wouldn't be Britain (plus we wouldn't have anything to do). The PM takes a beating on a daily basis by cartoons and articles in newspapers, angry or disillusioned members of the electorate, and anyone else who fancies having a go at him. In some countries our actions would be punishable by torture or death, but to us it is the norm - the culture. We are such unpatriotic patriots, the Oxford dictionary has a picture of the British Flag next to 'oxymoron'. So in summation, we don't get PMs that form relationships with us, we already have the Queen to care about, our PMs are nowhere near as interesting, fun or charismatic as Presidents, and we're far too busy making fun of everything around us to be particularly worried about who the Prime Minister actually is. Sorry Dave, it's not all your fault (for once). If there was a like button I would press it!